WASHINGTON CITY — Police and families in Washington City are working to find the person responsible for impaling a cat with a 7-inch dart Wednesday afternoon. “It’s scary. I’m really worried about our neighborhood,” said Carrie Colvin, the owner of the black cat named “Pepper” who came home with the blowgun dart sticking out of its side. Colvin, whose family lives just south of the Virgin River on Sandia Road in Washington City, said the cat was only let out of the house for around 20 minutes when the incident occurred. After her son let the cat out at about 3:40 p.m. Wednesday, Colvin’s daughter returned home from school at about 4:05 p.m. and noticed something protruding from the cat. 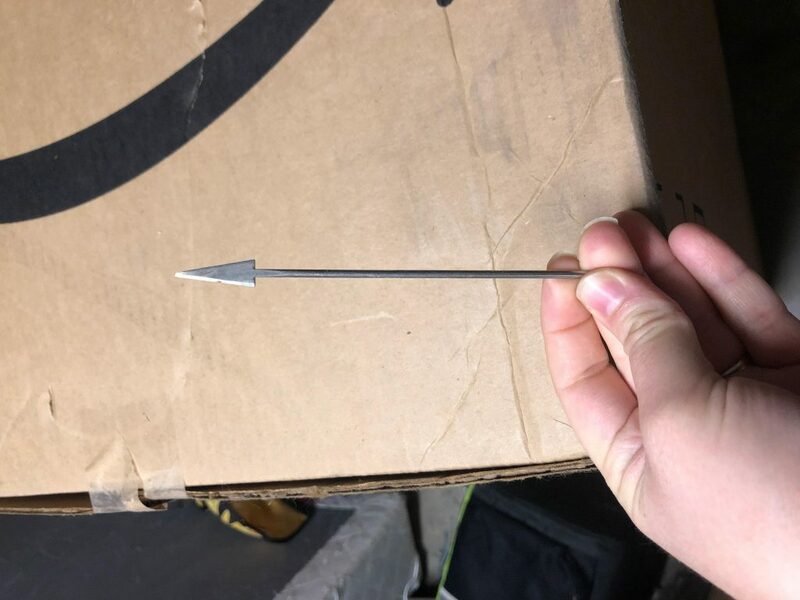 Colvin’s son recognized its distinct features as a blowgun dart, at which point the family rushed the cat to the veterinarian. X-rays came back showing a 7-inch dart near the animal’s spine that had entered between its shoulder blades. The veterinarian could feel the tip of the dart under the skin where it was lodged on the other end of the cat. A surgical procedure was performed on the cat in order to pull out the dart. “Fortunately, it didn’t hit the spine, the lungs, the ribcage or any other organs,” Colvin said. After such a disturbing incident, Colvin took to social media and shared photos of the dart and X-rays on various groups on Facebook. It wasn’t long after posting before she received a message from a neighbor who lives only three streets away describing a similar dart found in their backyard. 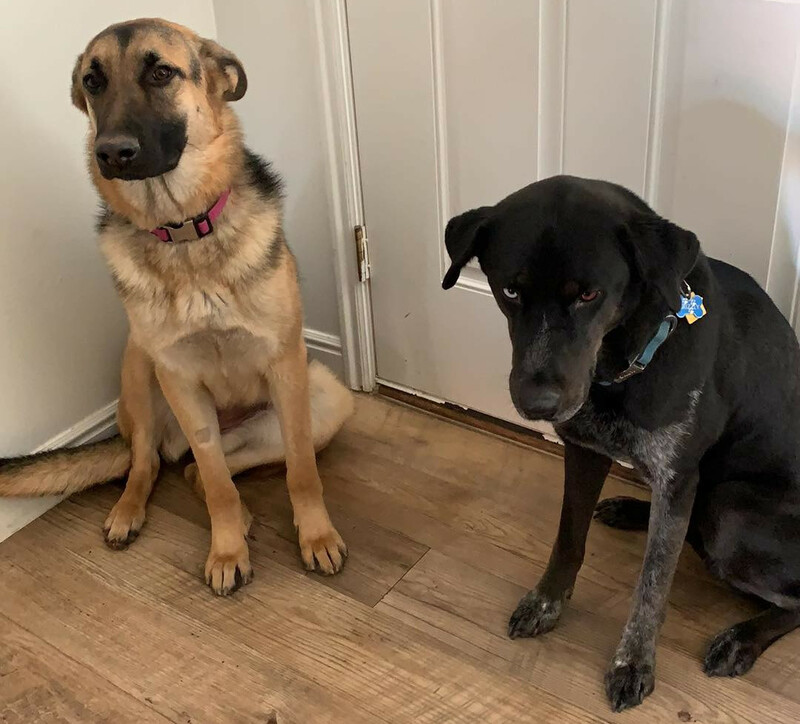 About a week later, Smith said his wife saw someone in the backyard apparently returning to retrieve the dart, but whoever it was got scared off by their dogs and jumped the fence before his wife could get a glimpse of the person’s face. The Colvins reported the incident involving their cat to the Washington City Police Department, and an officer was sent to their home Wednesday evening to investigate. 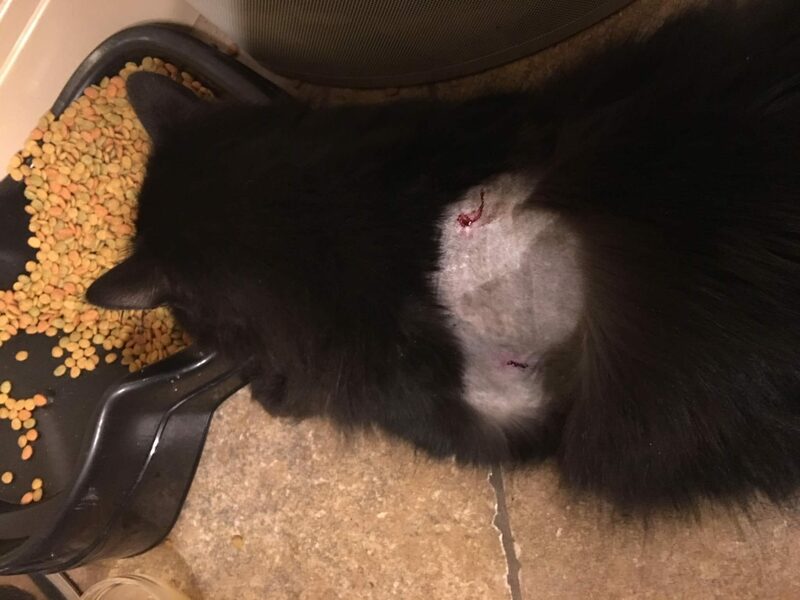 Williams said the department takes incidents of animal cruelty seriously and whoever is responsible for injuring the cat could face animal cruelty charges. Both Colvin and Smith said this incident has made them wary of letting their animals outside without supervision. She said she hopes sharing the information with police and on social media will prompt someone’s recognition of the blowgun or person responsible. 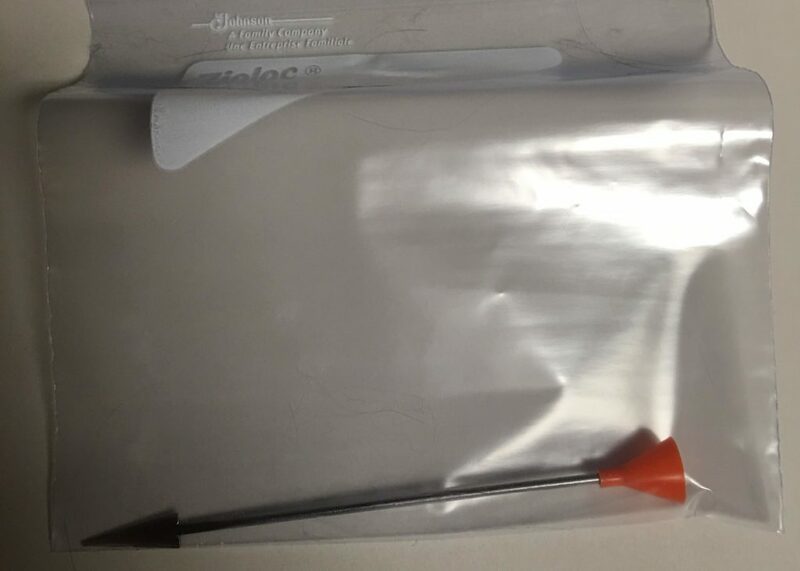 Police are likewise asking the public to share any information they may have about this or other incidents involving blowgun darts. “We would welcome any information,” Williams said, explaining that people can call Washington City Police at 435-986-1515 or 435-634-5730 or email the department with any tips. A cute little christmas gift for little Jimmy, the budding psychopath: a blowdart gun. I didn’t know they were putting out barbed darts now. Maybe parents will have to put down their smartphones and do some parenting, or perhaps every cat in the neighborhood will meet a terrible fate. What can ya do? Why are cat owners such scofflaws. We all know most cats “somehow escape” and are lost when their owners are holding the door open and saying “see you in the morning”. They don’t care that the cat is using the neighbors yard as a toilet and to spray, or ripping apart the birds the neighbor is trying to attract. Well shooting the cat is clearly wrong. But the irresponsible owner is just as much at fault. There are several Havahart cages that will work to capture the feral cats – an invasive species – for placing in an indoor shelter. Cats are horribly destructive to vulnerable native wildlife. IMO, all pet cats should be kept indoor, and all ferals should be rounded up and euthanized. But it should be quickly and humanely. If whatever psycho with the dart gun wasn’t shooting cats he’d prob be shooting at song birds or something. Really is no excuse for it. Sounds like ur defending the “blowgunner” just bc of your cat hatred. Did you not read what I wrote fully? “Well shooting the cat is clearly wrong.” And how does assigning some blame to an irresponsible owner translate to cat hatred, can you explain that part of your reasoning? Given you think all stray cats should be caught and euthanized it sounds like you yourself are just quibbling over the weapon that was used. Your post does not add up. I’ve told plenty of idiots cat owners if they want their cat to have a long life(long for a cat) then keep the damned thing indoors. Life of a cat has little to no value.